But header color didn't change, am i doing anything wrong? The header style can be changed on each page in the additional meta boxes below the content editor. 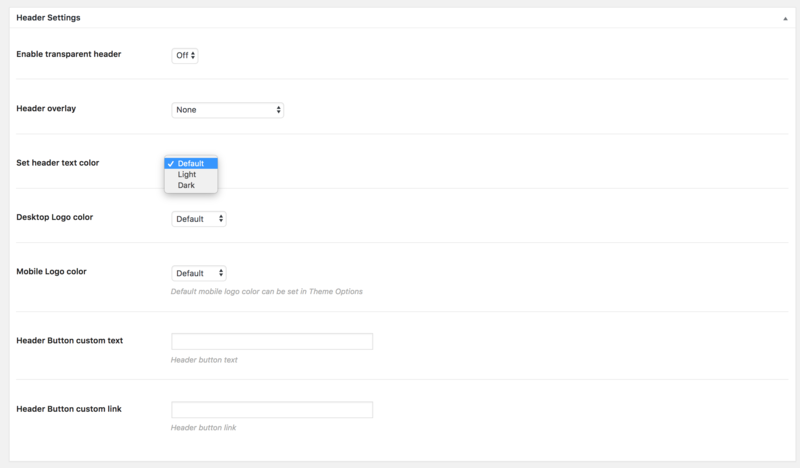 This setting will override the default Theme Option setting. Please check the settings on the pages where the new color is not working and set it to default. If you imported the demo, then the home 2 and home 3 pages are those where this setting gets overwritten manually. I hope this makes sense. Let me know if it helped.